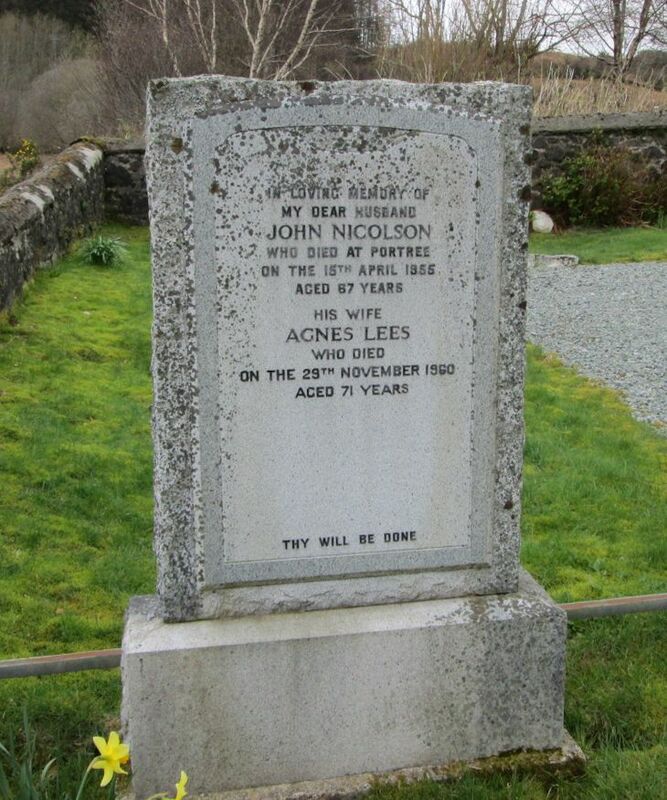 Skye Gravestones | John & Agnes (Lees) Nicolson. John & Agnes (Lees) Nicolson. In loving memory of/my dear husband/JOHN NICOLSON/who died at Portree/on the 15th April 1955/aged 67 years/his wife/AGNES LEES/who died/on the 29th November 1960/aged 71 years.